During the holidays, our mailboxes are filled with catalogs enticing us with clothes, gifts, and toys. Friends send us lively cards and letters, hoping for a good word in return. We're peppered with party greetings, petitioning us to add another event to the calendar. But one message tends to get buried in the avalanche. It's the request to accept a role in the Creator's grand story, made personal when His son appeared on earth some 2000 years ago. 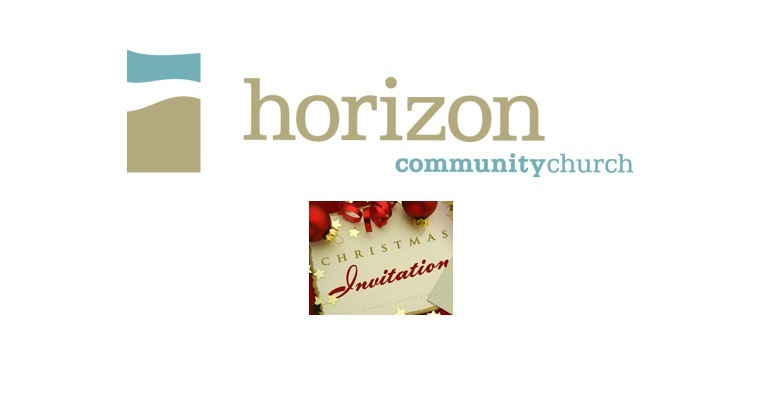 Join Horizon at 10:30 on Sundays as we open God's Christmas Invitation and see what's really inside. Series runs Nov. 21st through Dec. 24th, 2010.